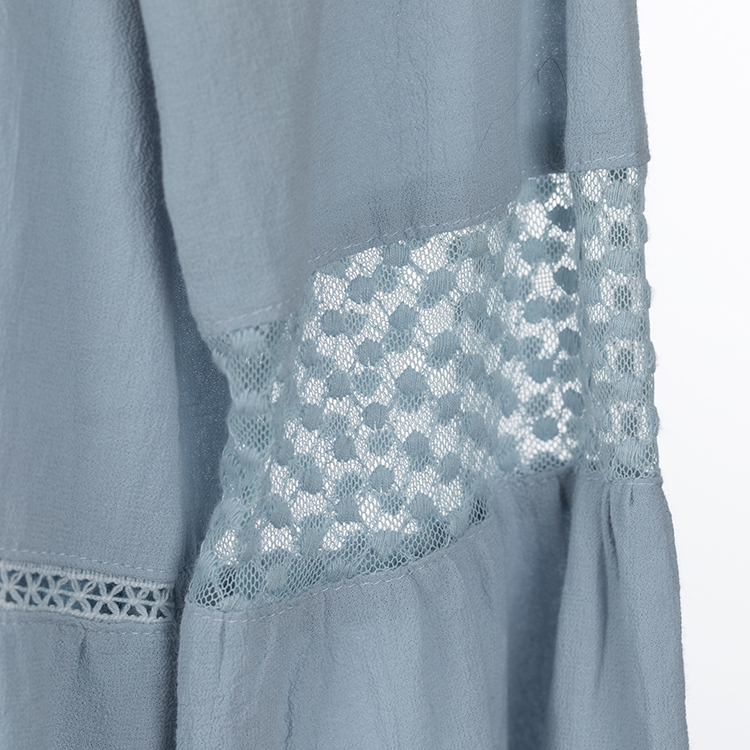 Pretty knee length dress inserting with delicate cotton mesh panels and pretty fagotting laces; a perfect summer dress for effortlessly chic look. Elbow length sleeve, loose fit, buttoning keyhole back, elastic at back waist. Model is 174cm and is wearing size XS. Shell: 90% Cotton, 10% Linen. Contrast: 100% Cotton. Lining: 100% CottonVoile.